► DUBAI: Kenya Airways acquires 5th Freedom rights on Dubai - Hong Kong sector of new Nairobi - Dubai - Hong Kong flights. Kenya Airways (KQ) has acquired fifth freedom rights on the Dubai - Hong Kong sector of its new Nairobi - Hong Kong flights, set to begin 13JUN. The new flights will operate out of Nairobi 3x weekly. ►► ZIMBABWE: KLM to restart Harare service from 29 October. [UPDATE 14 MARCH] After a 10 year hiatus from the Zimbabwean capital Harare, KLM Dutch Airlines (KL) has announced the resumption of its Amsterdam - Harare service, albeit with a stopover in Lusaka. 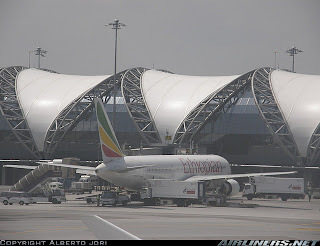 ► CONGO (KINSHASA): Arik Air starts Lagos - Kinshasa from 5 December. Nigeria’s largest commercial carrier, Arik Air (W3), has announced the start of twice weekly flights from Lagos to Kinshasa, Democratic Republic of Congo effective 5 December 2012. ► DJIBOUTI: Turkish Airlines to serve Mogadishu via Djibouti from September. 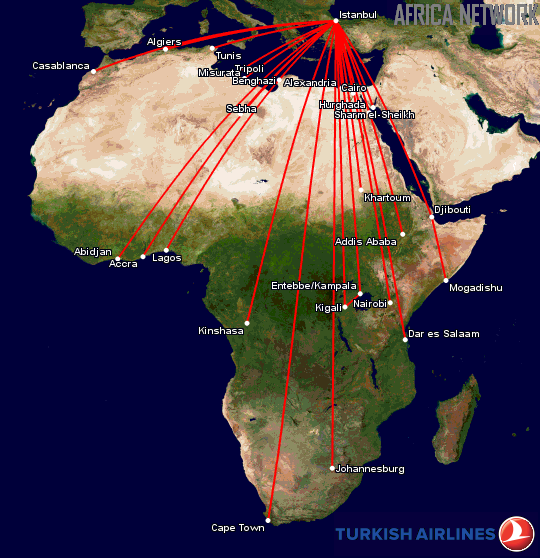 It seems hardly a week goes by that Turkish carrier Turkish Airlines (TK) doesn't announce a new African destination. This time round, the new African route to be served will be Djibouti, with a tag on leg to Mogadishu, Somalia, which was previously serviced via Khartoum, Sudan. 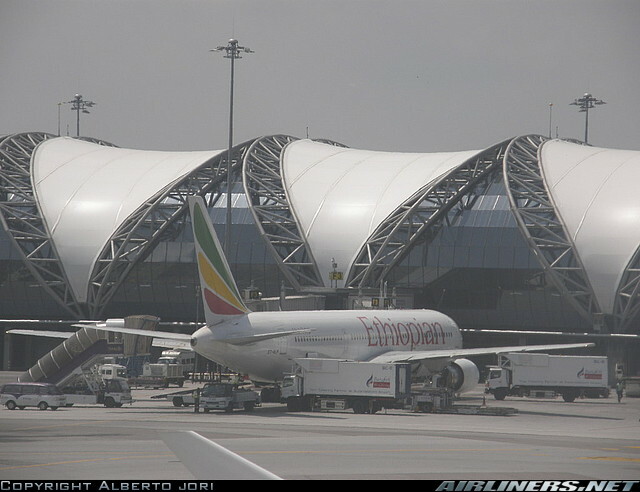 The 2x weekly flights are scheduled to begin 4 September 2012 with an Airbus A320 and, it should be noted, Turkish Airlines has also been given 5th Freedom rights to ferry passengers on the Djibouti - Somalia sector of the flight.